Permethrin, Ex-bioallethrin, Pyriproxifen and Piperonyl butoxide are the active ingredients present in this spray treatment. All these active ingredients give instant relief to the dog of scratching and itching. 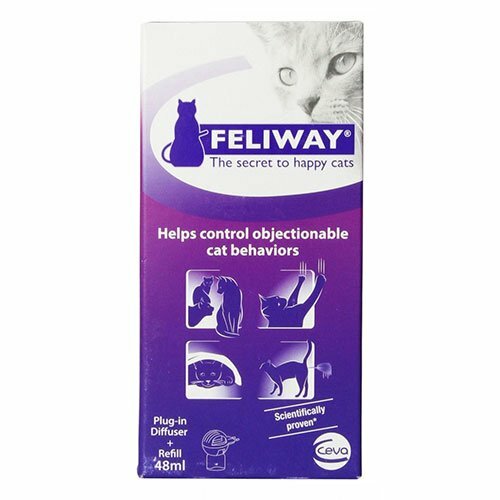 It provides comprehensive protection from fleas, flea eggs, larvae and ticks. It even prevents flea eggs from hatching and stops larvae from developing into adult fleas thus breaking the flea lifecycle. Adult fleas hatched from pupae treated with this spray are very weak and so are eliminated very soon. The other benefit of this treatment is due to the presence of Pyriproxifen dogs can roam outdoors as it is stable in sunlight. 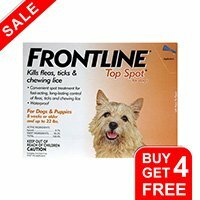 Thus, this flea and tick preventative treatment provides comprehensive protection to the dog by eliminating fleas, flea eggs, larvae and ticks from their body. Ultrum Ultimate is a long-lasting flea and tick treatment that is administered by spraying on the coat and skin of the dog. It kills 100% fleas within a day of administration. This long-lasting spray keeps killing adult fleas for a maximum of one month. It also is effective against ticks and kills them on contact. 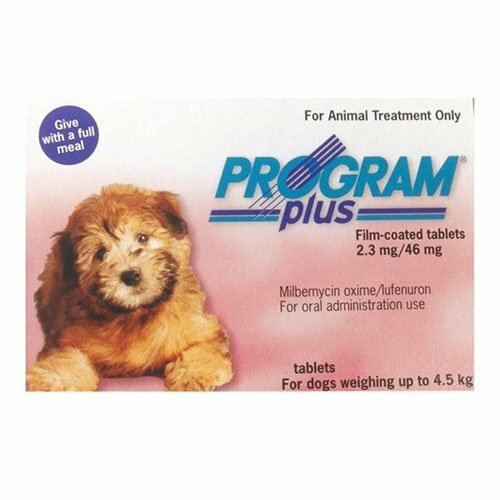 This treatment is recommended for puppies and dogs older than 7 weeks of age. It is quick-working and you can see the pests falling off as you spray the coat of the dog. 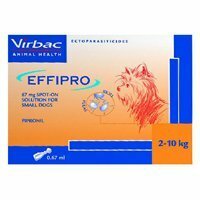 It provides comprehensive protection to the dogs from flea eggs and larvae for more than three months. This flea and tick preventative spray contains citrus-fragrance that provides pleasant to the dog's coat after application. Wear household gloves while applying the solution to the dog's coat and skin. Massage the coat after this which would assist in distributing the solution evenly. The spray is quick-drying, but leaves a fine film, which may impart a slight shine to the coat. Never spray near the face area of the dog, rather spray some solution onto a cloth or into your glove and then transfer the solution to the skin/coat. After administering the treatment, wash your hands properly with soap and water. Always wear gloves while administering the treatment. Apply the spray in a well-ventilated room. Children and other pets should not be allowed to get in close proximity of the product. Do not use this treatment on dogs that are known to be sensitive to insecticides or to alcohol. Never smoke, eat or drink during application. Never spray this treatment in the eyes of the dog. In case of accidental spray in the eyes, wash the eyes properly with rinsed water. This treatment is strictly to be administered to dogs only. Never use it on cats as it can be extremely dangerous. Great product! It worked quickly and effectively on my dog. She had several fleas and within a few hours, they were all dead. No side effects at all, just relief and no more scratching and biting herself. I highly recommend. 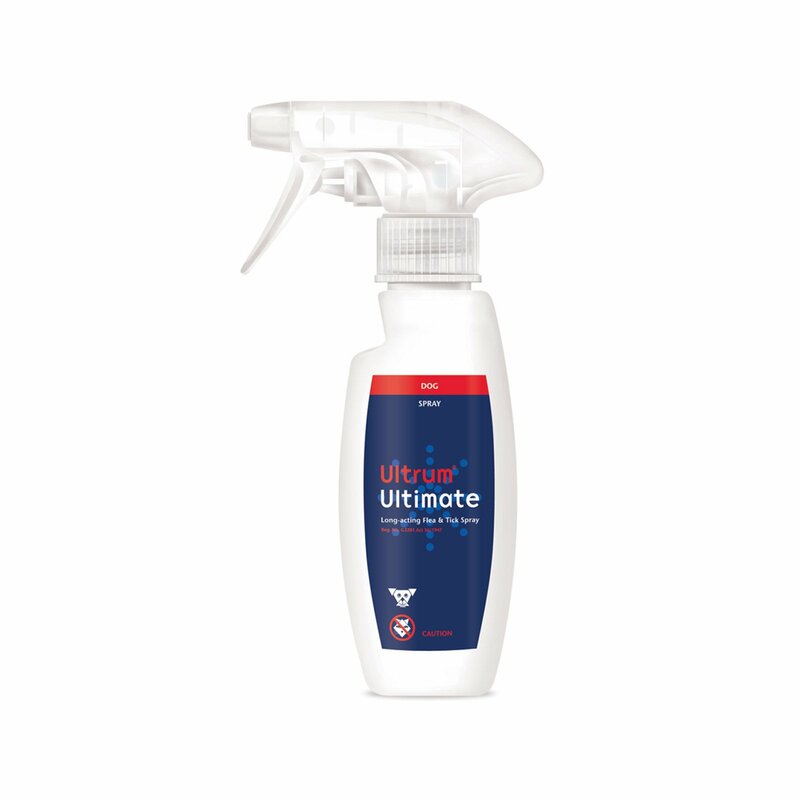 I have one dog, and as soon as I use Ultrum Ultimate Spray on him I can see the fleas going crazy and they drop off nearly dead, I have never had any issues with this product and I would recommend this product to everyone. Thank you, Ultrum Ultimate Spray! 2 of 72 found this review helpful. 19 of 19 found this review helpful. I definitely recommend this swift and convenient spray to all the dog-parents. 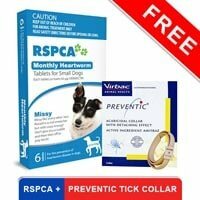 It will protect your Fido from any harm due to fleas and ticks..
0 of 12 found this review helpful.